July 2017 - Kenwa Trading Corporation, a specialist in door hardware and various door closing solutions. KENWA Co., Ltd. (Osaka Japan), a parent company of KENWA Trading Corp. (NY), has announced that Mr. Hiroyuki Kobayashi has been named as a new president of the company from July 1, 2017. Mr. Kobayashi has made great success in his 25+ years carrier in KENWA and he has always been active to grow businesses for entire KENWA Group. 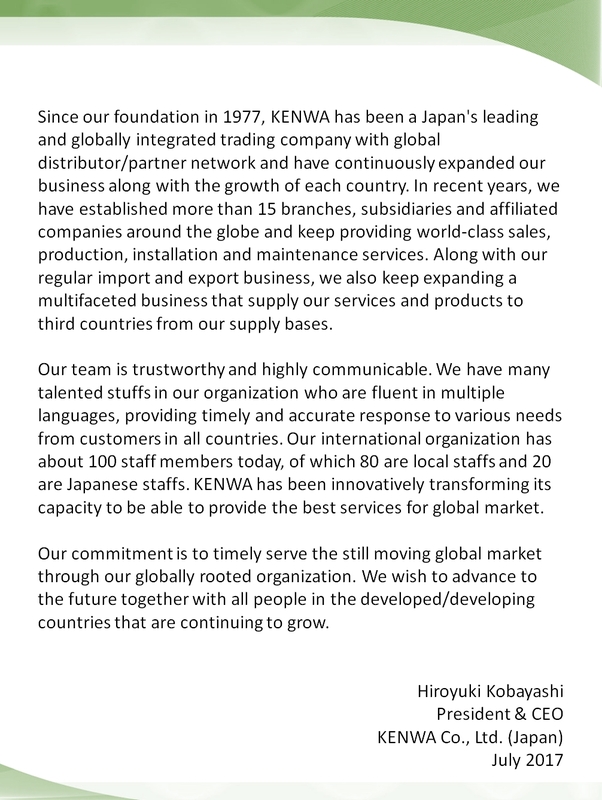 Here is a message from new president of KENWA Japan.